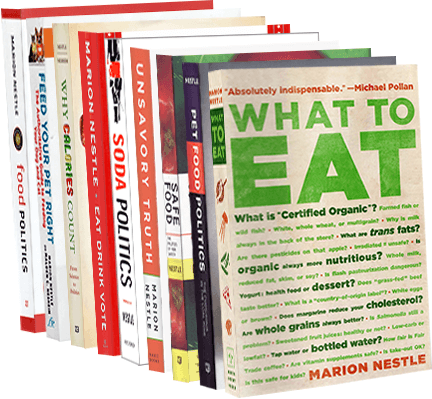 Food Politics by Marion Nestle » Do Sports Supplements Help? Food supplements have become a huge fad among people who “work out”. Protein powders, various lipids, amino acids and dozens of other arcane pills and potions. My step son, who is otherwise a very sensible and educated young man, indulged in some of them (maybe still does) when he lifts weights. I tried to convince him that a normal, healthy diet is all that one needs. That perhaps these supplements make a difference to competitive athletes who want to shave a few milliseconds off their speed, or add a few pounds to their weight-lifting, but that for a person who just wishes to be fit (even REALLY fit!) they are a total waste of money. One pays tens of dollars per kg or two of protein extract. For a similar cost, relief agencies ship hundreds of times that weight of basically the same material to 3rd world countries. Moreover, I doubt very much that most of the claims made for them have ever been proven in proper clinical trials. I’m not even sure whether some of the nutrients that are known to be part of normal metabolic pathways cross the plasma membrane that readily. And even if they do, do they provide enough extra to make any detectable difference in performance. I raised this issue with several colleagues in our Physical Education Faculty…and they seemed equally sceptical about the value of these substances. One of them said that the supplements might help decrease the time at which one reaches a specific level of performance, but not the ultimate level itself. What might be your thoughts? My thoughts: I devote a chapter in my book, What to Eat, to the question of supplements. The chapters come with extensive endnotes and references, which may help convince colleagues. My understanding of sports supplements is similar to yours–they give a tiny edge to elite athletes but act as placebos for everyone else. The marketing hype is so over the top that the attorneys for several states are taking them on. But I like to put sports supplements in context: they are generally harmless and are a whole lot better than steroids. Anyone have any additional thoughts on the topic? FTC Wants Info From These Companies!